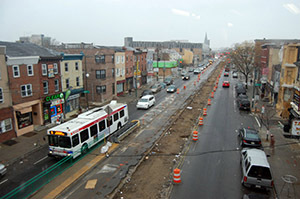 Girard Avenue looking east from Girard Avenue El Station (Front Street). 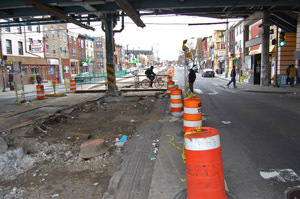 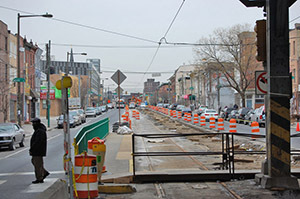 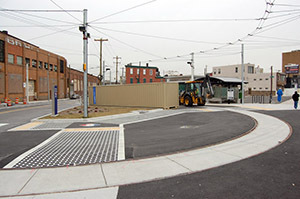 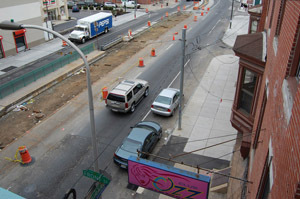 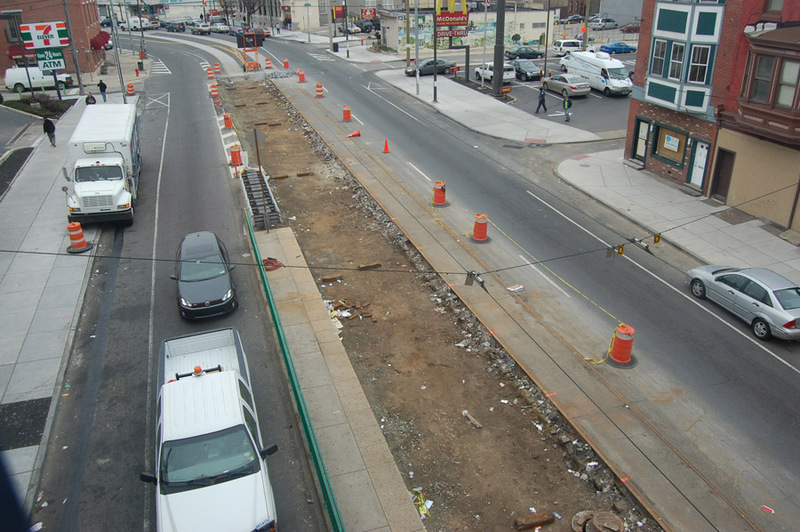 In late 2011 - early 2012, SEPTA is spending $1.2 million to replace 7000 linear feet of badly worn rail on Girard Avenue. 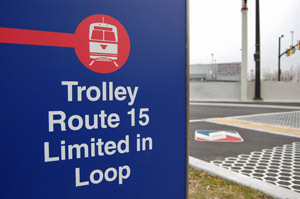 SEPTA's $1.2 million investment in Route 15 hopefully bodes well for the line's future as an electric streetcar route.